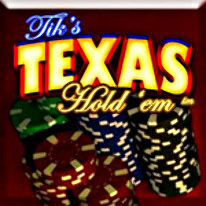 Deal me in with Tik's Texas Hold'em! Whether you are a beginner or a pro, you can enjoy the thrill of the perfect hand, or the perfect bluff. The closest thing to actually being there!